By the end of Season 31 in 1994, The Joy of Painting managed to rack up a substantial collection of landscape paintings. As Design Taxi reports, thanks to the diligent work of fan Felix Auer, Bob Ross lovers can now peruse the whole series. 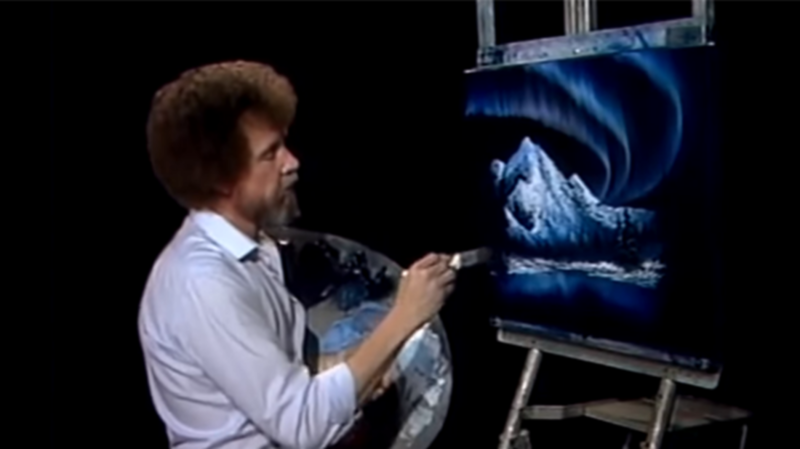 His website Two Inch Brush—named after Ross's brush of choice for the wet-on-wet technique—is an unofficial database that organizes all 403 paintings from the show by season and episode. Fans can sift through all the happy paintings by episode, colors used, and guest painters. If a viewer finds a work he or she would like to try painting, each page has a link to the episode on YouTube, along with a list of materials needed. The website also offers up a page dedicated to tools and paints branded with Ross's face and a blog to learn more about the show and painting techniques.